WASHINGTON, March 26, 2019 /PRNewswire/ -- Castle Connolly Private Health Partners, LLC ("CCPHP"), a leading membership-based (or "concierge") practice conversion and support company, is pleased to announce a collaboration with Dr. Alan Morrison to establish a concierge practice. Dr. Morrison earned his medical degree from Des Moines University, College of Osteopathic Medicine and his undergraduate degree in psychology from the University of Maryland. Prior to his residency training, Dr. Morrison completed a rotating internship at the Philadelphia College of Osteopathic Medicine, and following his residency he completed a clinical fellowship in adolescent and young adult medicine at Children's National Health System in Washington, D.C. In 1999, Dr. Morrison joined the faculty at Nova Southeastern University in Ft. Lauderdale, Florida, where he served as Assistant Professor of Medicine for almost five years. Dr. Morrison has spoken at both local and regional scientific conferences and has contributed to the medical literature. In addition to appearing in the media as a featured medical consultant, Dr. Morrison has received several awards for excellence in teaching. 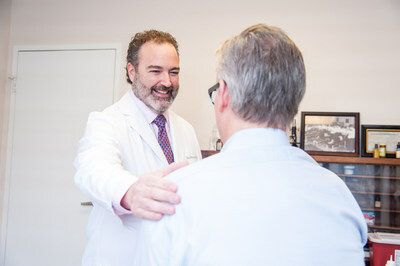 Dr. Morrison has been named one of the "Top Doctors" in Washington, D.C., according to Washingtonian Magazine since 2008. "Taking the time to cultivate the patient-physician relationship is essential to the way I practice medicine," said Dr. Morrison. "In order to do this, I have collaborated with CCPHP, which will provide me that time." "CCPHP is pleased to announce the addition of another leading physician and the expansion of the organization into the Washington, DC area," said Dean McElwain, President of CCPHP. "CCPHP is excited to collaborate with Dr. Morrison, who enthusiastically shares our values when it comes to providing an exceptional and personalized care experience for our Members." To learn more about Dr. Morrison's practice and the benefits of Membership, visit morrisonmembership.com or call (202) 503-1293.